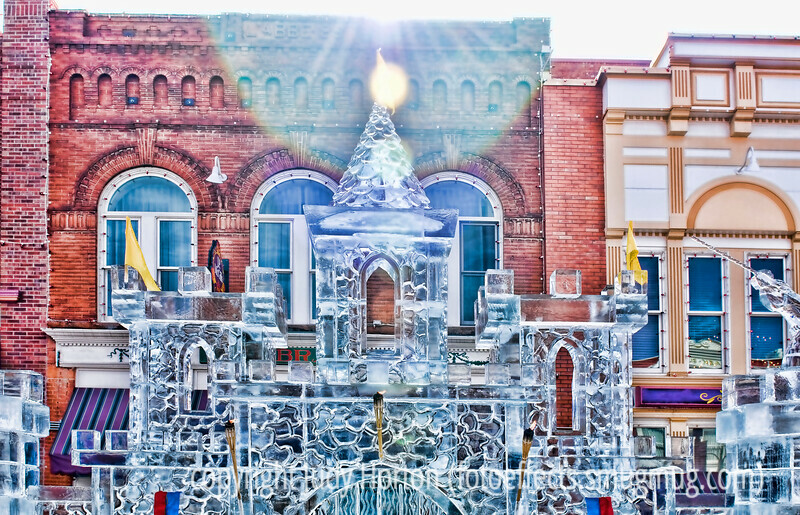 An ice sculpture castle at the festival in Cripple Creek, Colorado; detail in this image is better viewed in a larger size. The details are truly amazing! Great work! Very cool!!! I love ice sculptures. There's a hotel north of Dallas and between there and Fort Worth that has an ice festival each year. We haven't been yet, but it's on the list. These ice sculptures are amazing. I don't recall hearing about this festival back when I lived in CO--but there again, that was in the 60's.